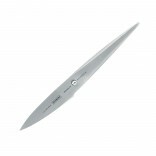 Chroma Ryoma Sakamoto Nakiri RS-02 16,5 cm is a classic handmade Japanese knife. 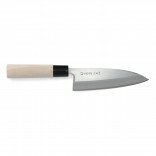 The perfect knife for chopping really fast and efficiently, ideal for vegetables. 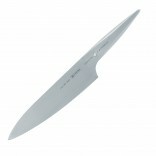 The Ryoma Sakamoto range of knives are hand-forged made of three-layered steel. They are produced in the tradition of Ryoma’s Samurai Sword. 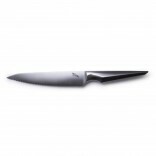 The philosophy of the collection was to offer perfect blades at the lower possible cost. 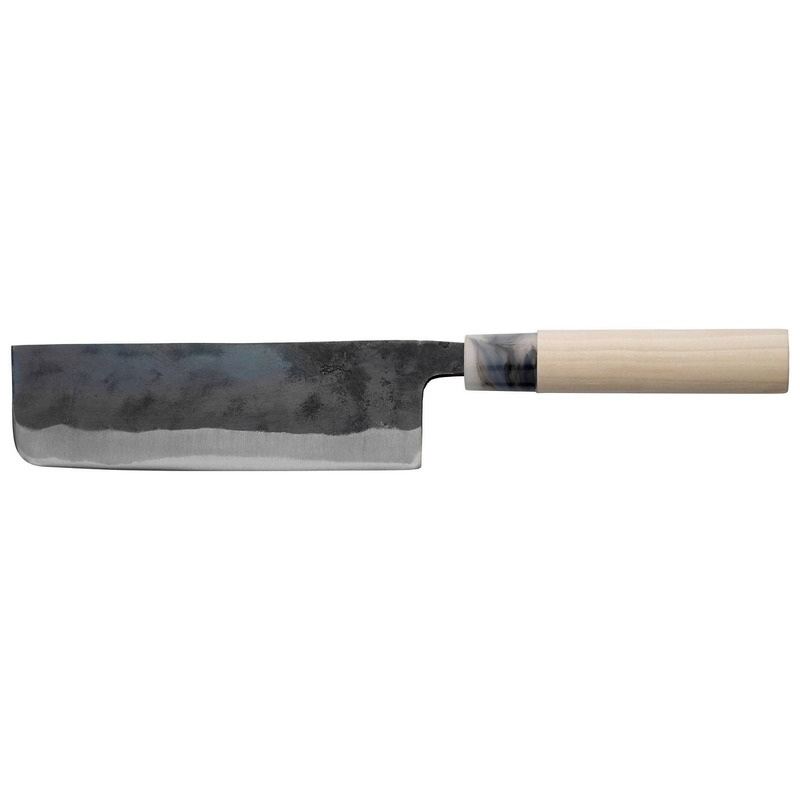 The handle is made is made off of robust plastic and honoki wood. This allows the incredibly low price for hand-forged quality. While the finish of the blades is unpolished rough and tough, their out of the box sharpness and hardness impressive rated at 60-61 ° HRC. This is quite a feat for a knife at this price. 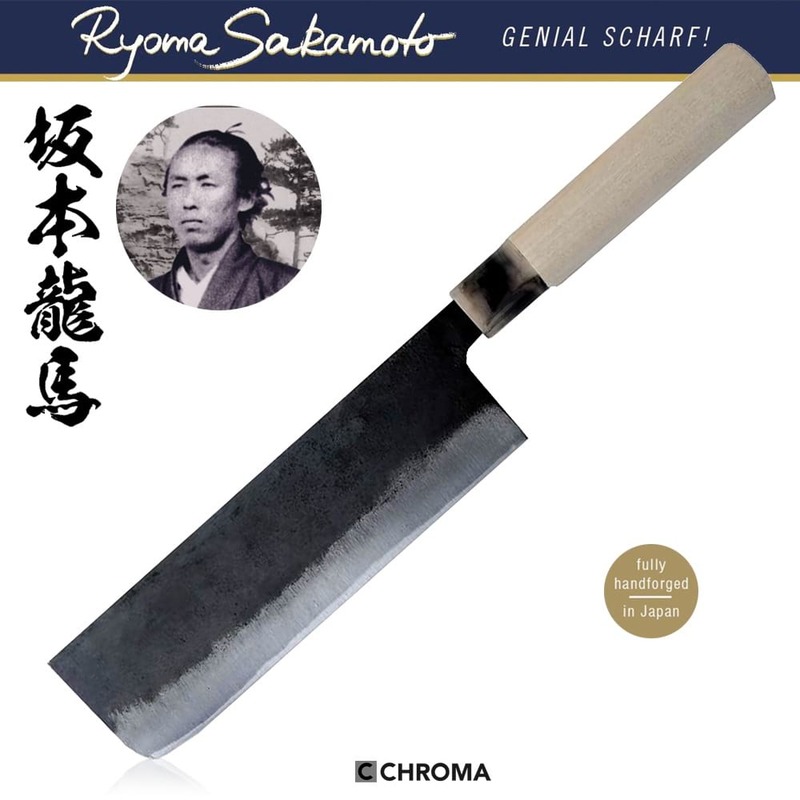 Chroma Ryoma Sakamoto knives are fully handforged in japan. The name of the series is a tribute to Sakamoto Ryōma (January 3, 1836 – December 10, 1867) a historical Japanese figure, prominent in the movement to overthrow the Tokugawa shogunate in bakumatsu Japan. Fully handforged Japanese Nakiri knife with 16.5 long blade. 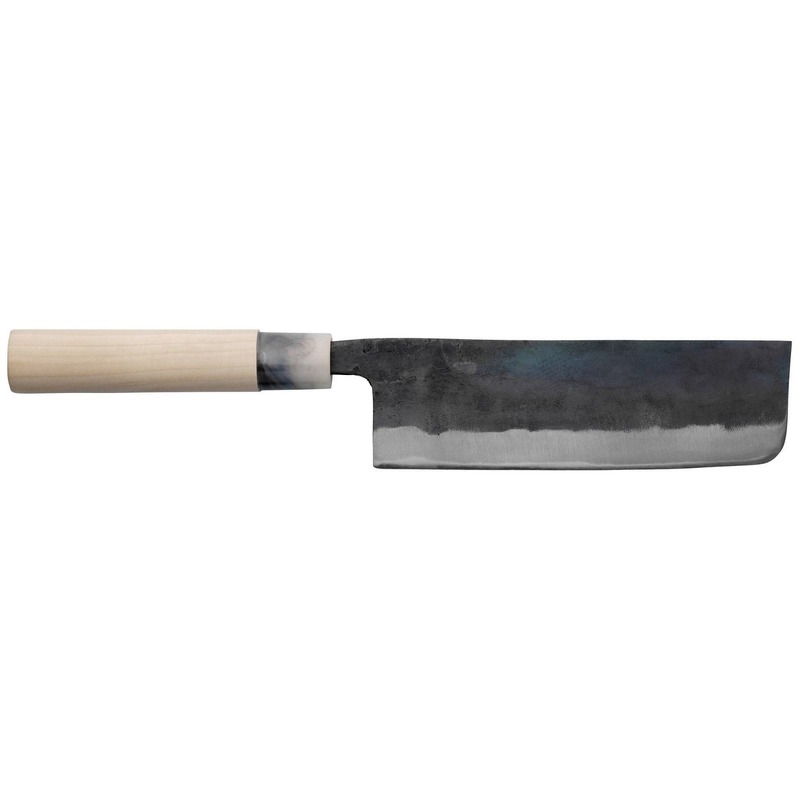 Material: Three-layered steel (blade), Honoki wood & Plastic (handle).